Spring is here and I couldn’t be happier! As you know by now, I love to dress girlie and floral prints are just the perfect feminine, girlie statement. I found this gorgeous blue dress from Banana Republic and the best part besides its fantastic fit (their petite sizes fit me perfectly), are the pockets!!! 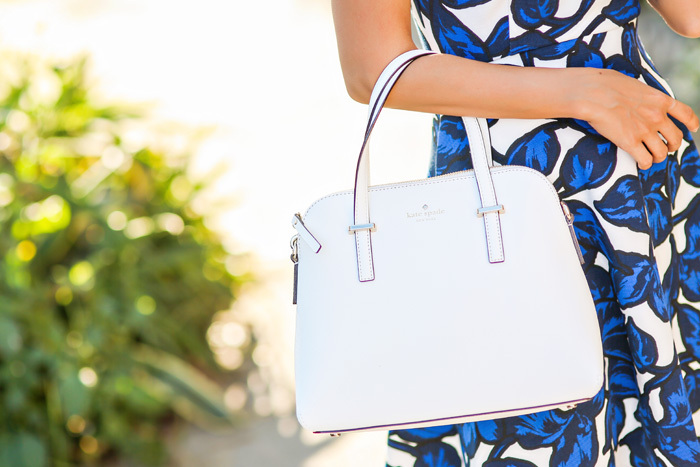 For the complete Spring look, I added my new must have white accessories – this perfect size satchel/crossbody from Kate Spade and pointy toe white pumps from Topshop. And here are some of my other favorite floral dresses this Spring!